Will BYOB, shown here on East Passyunk Avenue, opened in 2012 and was met with near-immediate praise. The restaurant is expected to close in June 2019, as chef Christopher Kearse prepares for his next venture. 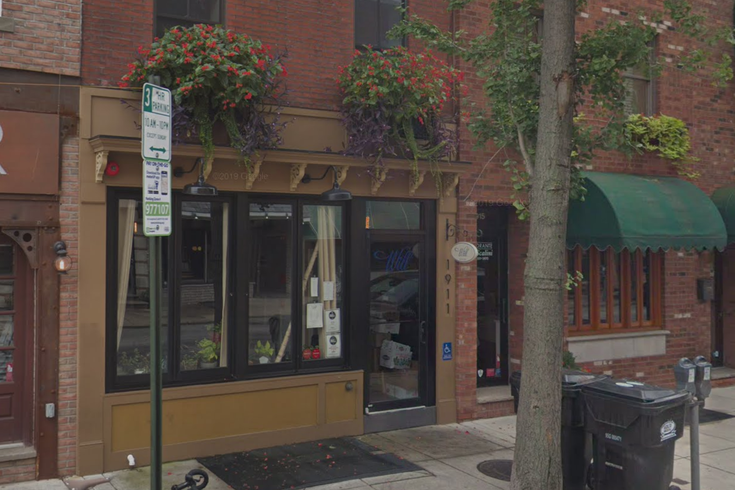 Christopher Kearse, the chef behind Will BYOB, is reportedly wrapping things up with his popular French-inspired BYOB restaurant after seven years on East Passyunk Avenue. Kearse is set to close Will BYOB sometime this June, according to Philly.com, and open a new restaurant called Forsythia in Old City. The new venture, which will take over the building formerly occupied by Capofitto, is reportedly expected to open in August. Capofitto, and its accompanying Capogiro gelateria locations, closed in December in part because the owners couldn't fully recover after a February 2018 fire damaged Capofitto. Will BYOB opened in the food-centric South Philly neighborhood in June of 2012, and was regularly lauded as one of the best restaurants in the Philly area. The Inquirer’s Craig LaBan gave the restaurant two bells the fall after it opened, and said Kearse had “both the technical prowess and the artistic vision to create modern food that still makes tasty sense, and not just tricky nonsense.” LaBan later upgraded Will BYOB to three bells. Most recently, the restaurant landed at No. 41 on PhillyMag's newest Top 50. Forsythia, Kearse told Philly.com, will serve “modern” French cuisine with “classic undertones."